LAS VEGAS – GRAMMY, TONY, and EMMY Award-winning singer-songwriter, arranger, producer and musician, Barry Manilow announced his hit show “Manilow: Las Vegas – The Hits Come Home!“ has been extended at the historic Westgate International Theater at Westgate Las Vegas Resort & Casino. Tickets for performances through February 2019 go on sale Friday, August 24, 2018 at 10am P.S.T. 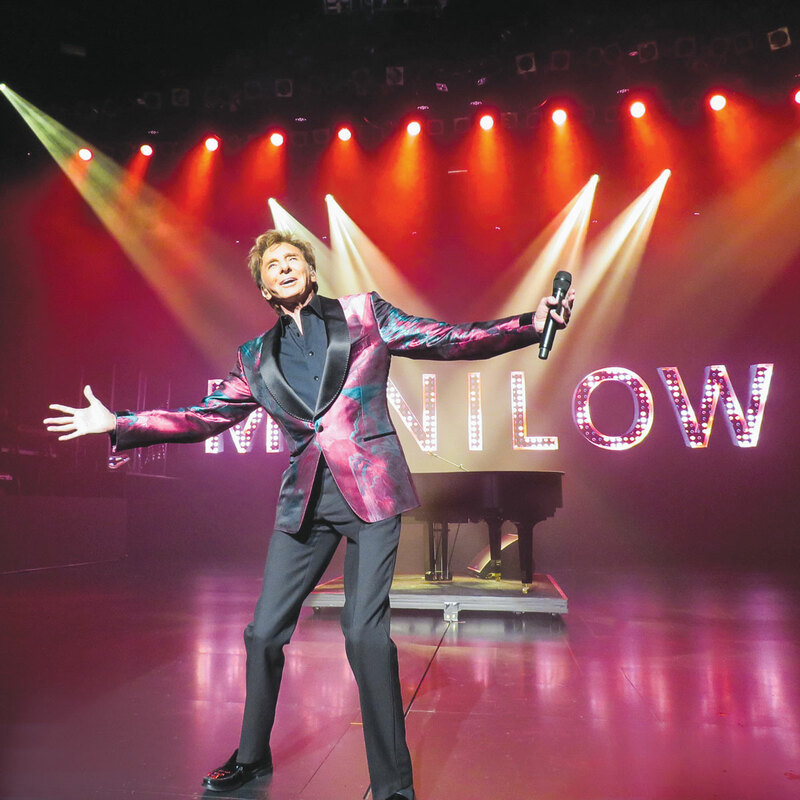 “Manilow: Las Vegas – The Hits Come Home!“ made its debut in May 2018 to rave reviews and sold-out audiences. The 85-minute show celebrates Manilow’s greatest hits, which includes an astonishing 50 Top 40 singles including 12 #1s and 27 Top 10 hits. Tickets for “Manilow: Las Vegas – The Hits Come Home!“performances through February 2019 range in price from $39.75 to $329.75 plus tax and applicable fees and will go on sale Friday, August 24, 2018 at 10am P.S.T. Tickets can be purchased at the Westgate Las Vegas Resort & Casino Box Office at (800) 222-5361 or online at www.barrymanilow.com or www.westgatelasvegas.com.